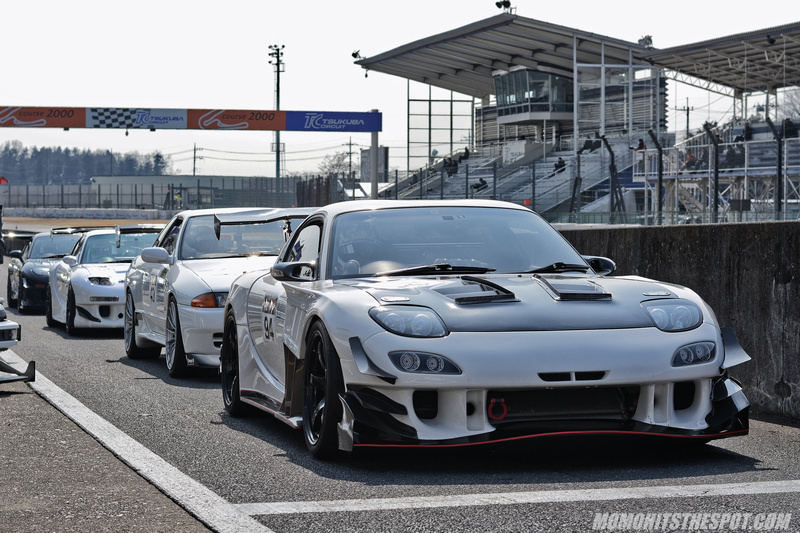 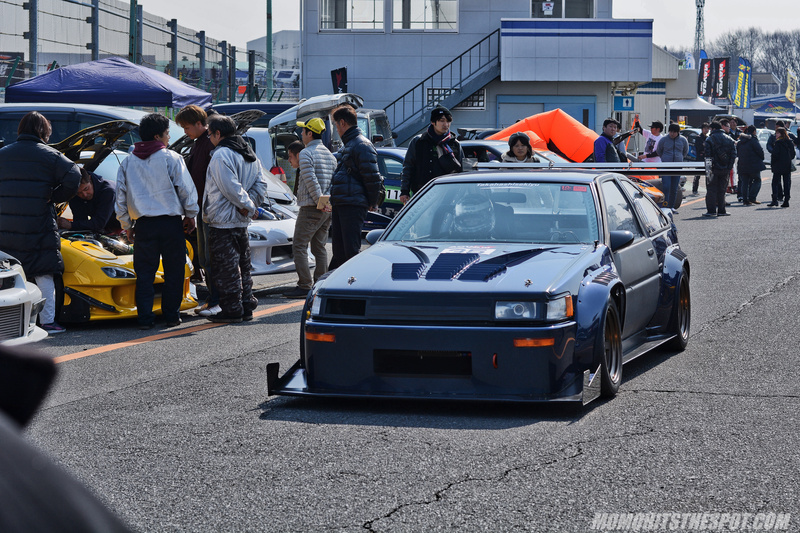 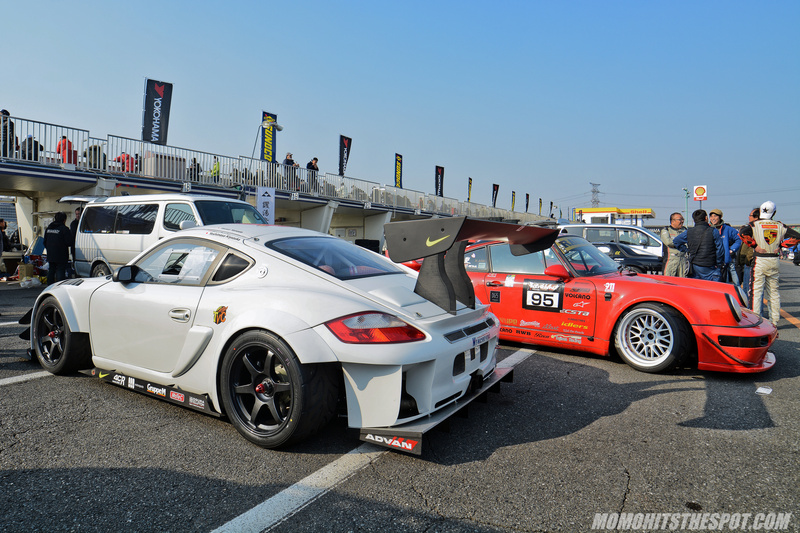 Attack Tsukuba 2018 [Event Coverage P.2] – MoMoHitsTheSpot! 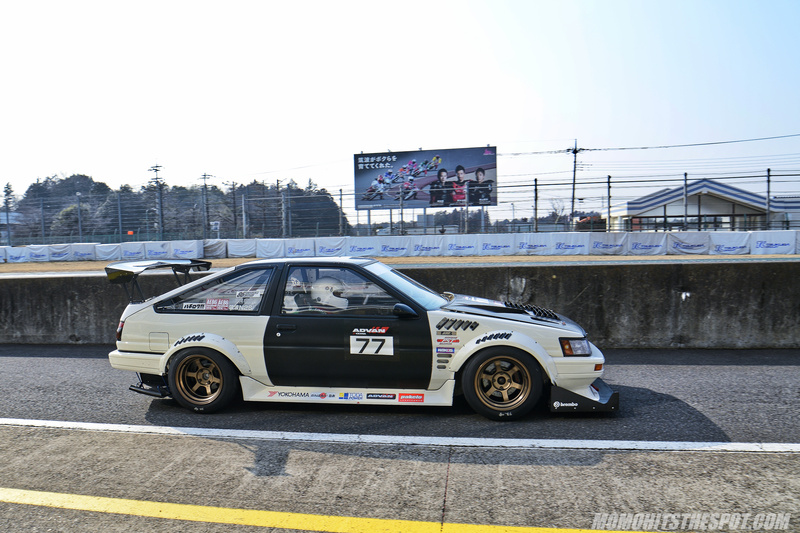 The incredibly light-weight and agile Carbon Junkie AE86 was the fastest of the day for the chassis, clocking in at 58.355 which I believe is a personal best. 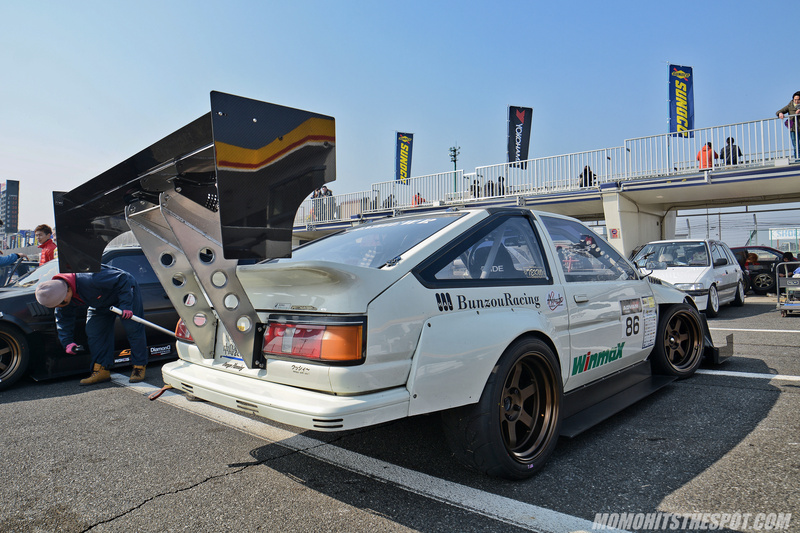 This Crystal Body Yokohama supported AE86 driven by Kenji Mori faired pretty well for the day with a best time of 1’00.243. 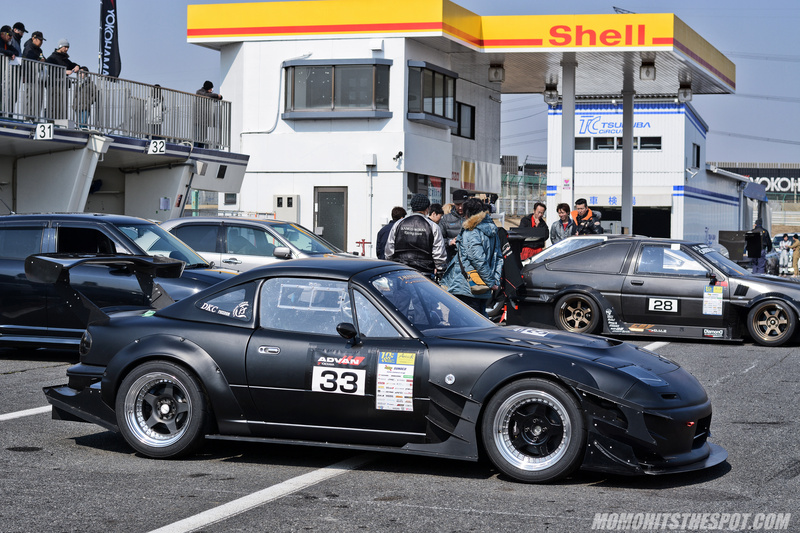 Keep in mind this car only has about 200HP, so flirting with a sub-minute time is quite impressive. 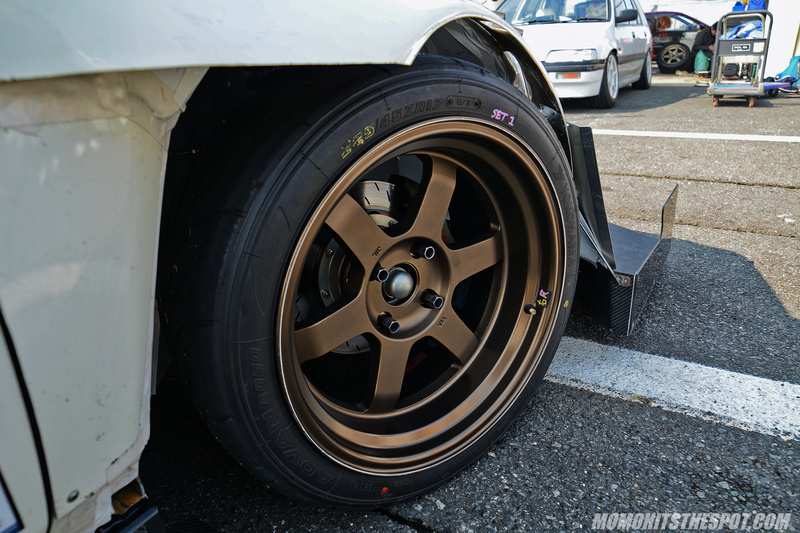 Caught a glimpse of it rolling through pit lane with some new shoes… same model, different color. 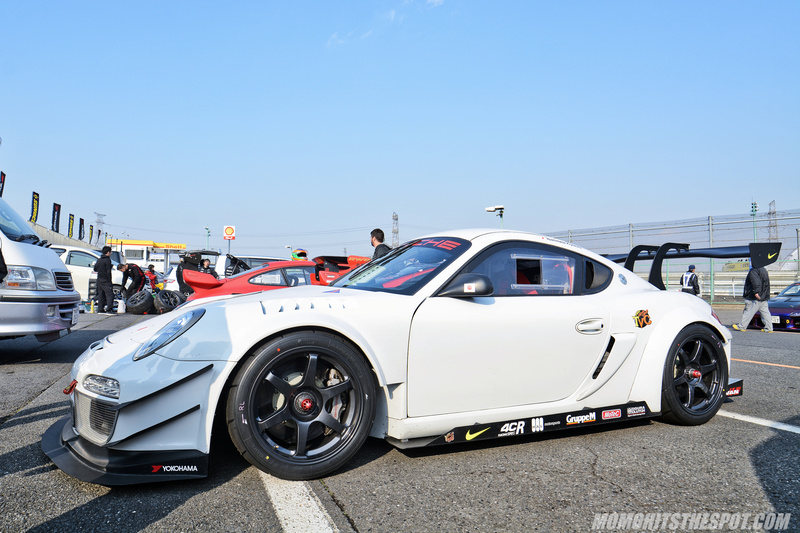 On paper, this TS-Factory Levin should be the fastest 86 out there but it failed to clock in a clean lap for the day. 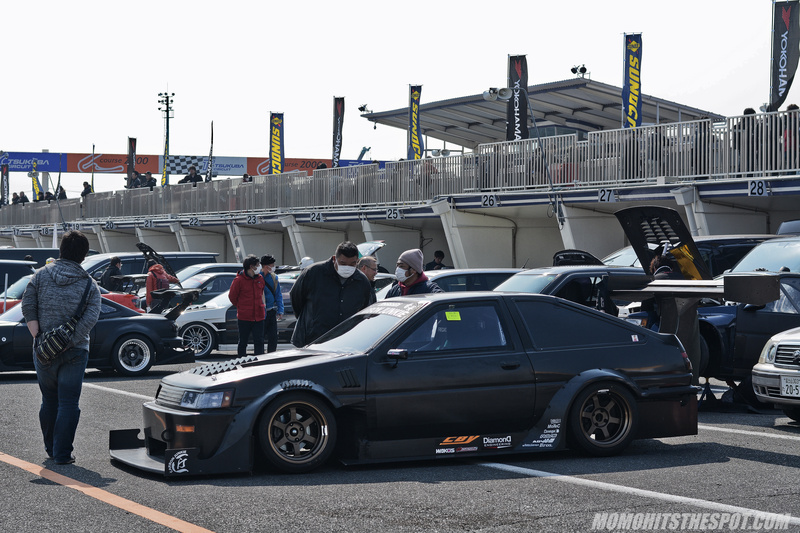 The weight of this car is shaved down to an anorexic 1650lbs. 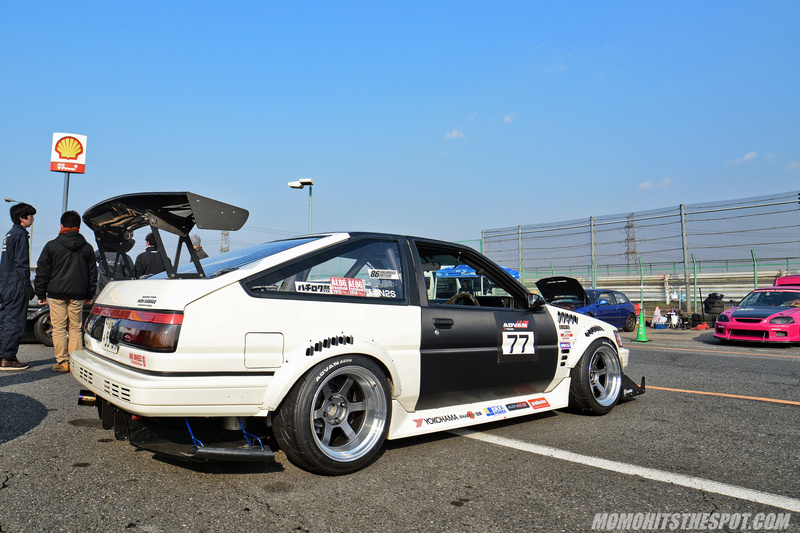 The Volk Racing TE37V seems to be the wheel choice for most of the AE86s’ and for good reason. 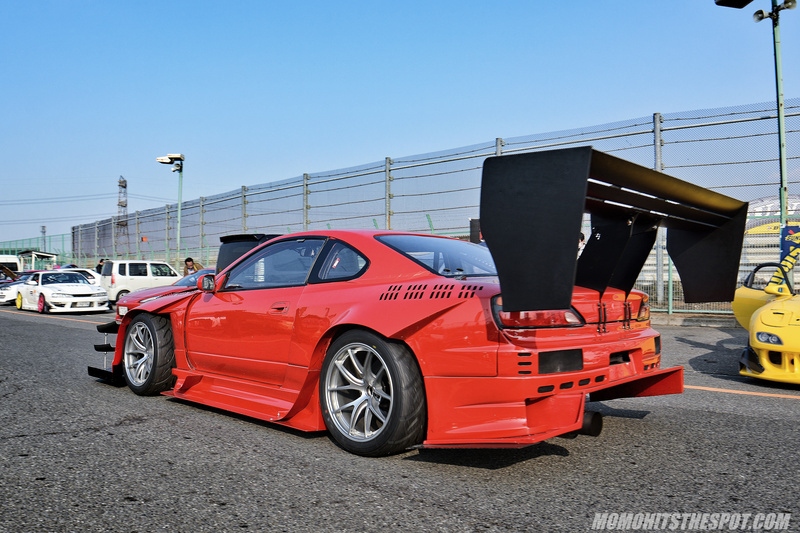 They look absolutely sensational on this chassis. 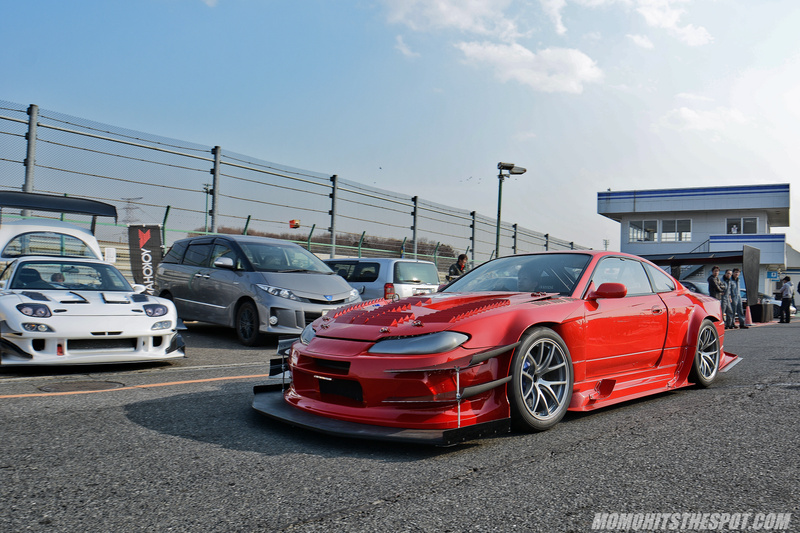 Although it failed to clock in a good time, it did look great posing with the Garage Work EK. 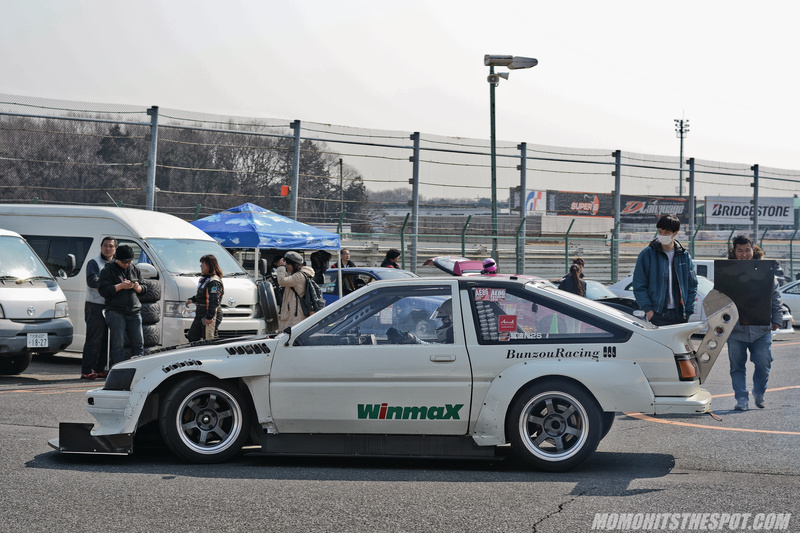 The Osamu No driven, M1 Levin was able to beat its target time and clocked in a best of 59.122. 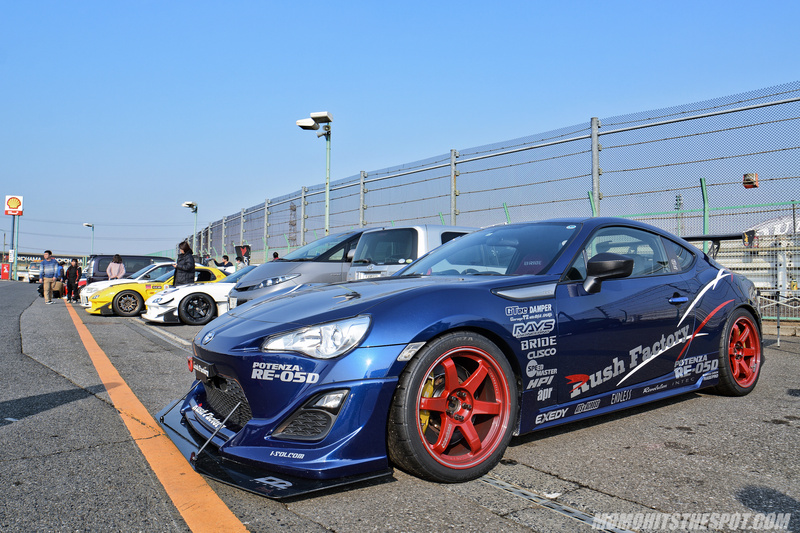 Several newer generation 86s were out and about too but my favorite was definitely the Rush Factory car. 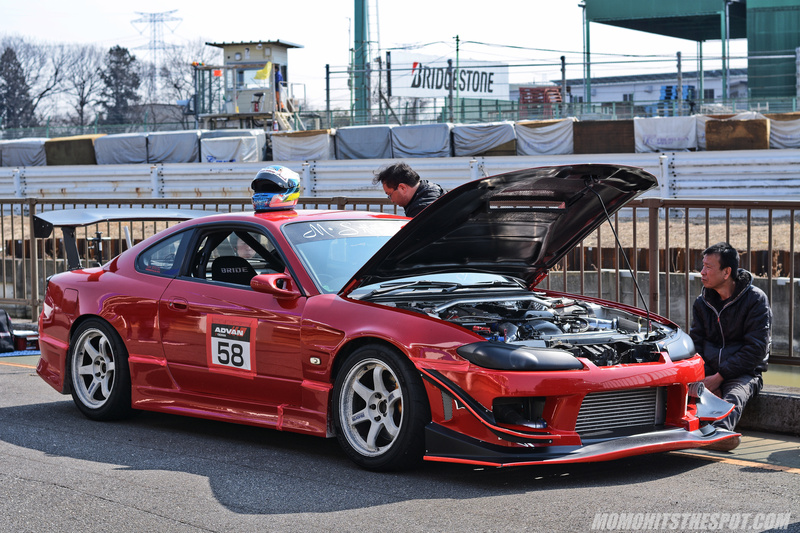 I love the simplicity of the car and the color scheme was perfect with the Burning Red TE37RTs to set the car off. 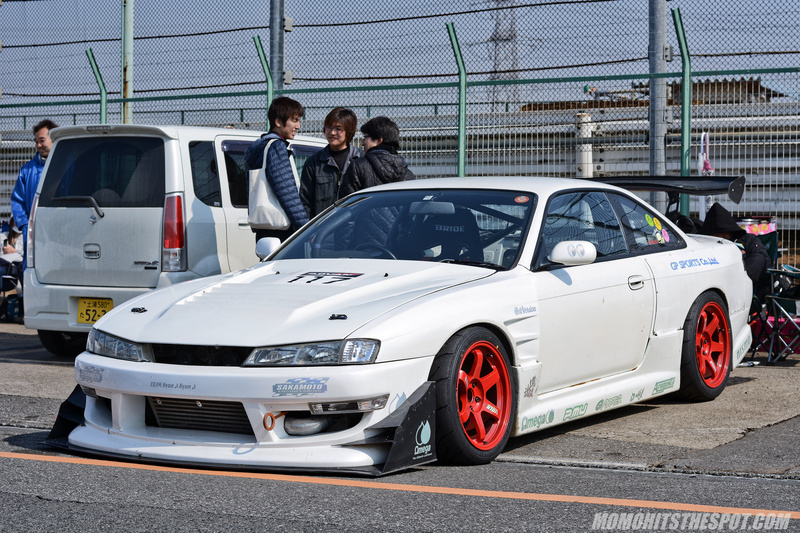 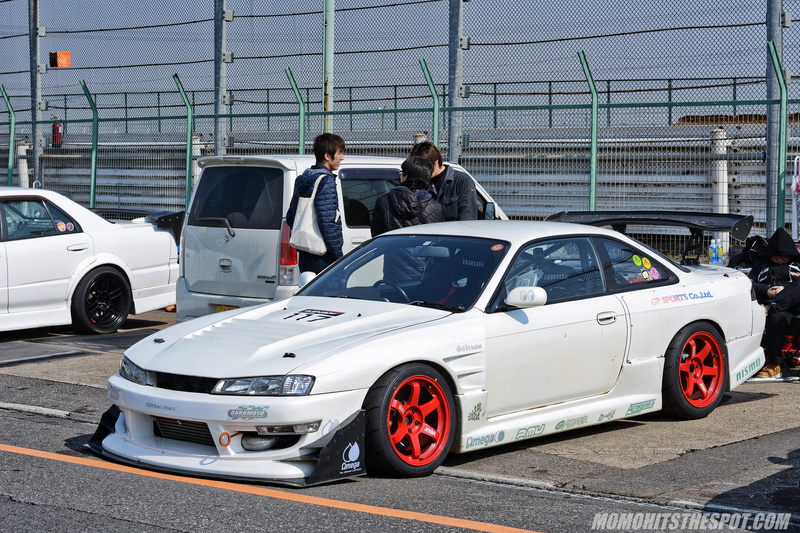 One of a few Silvias at Tsukuba was this beautiful Sakamoto Engineering Kouki S14 sporting a GP Sports kit. 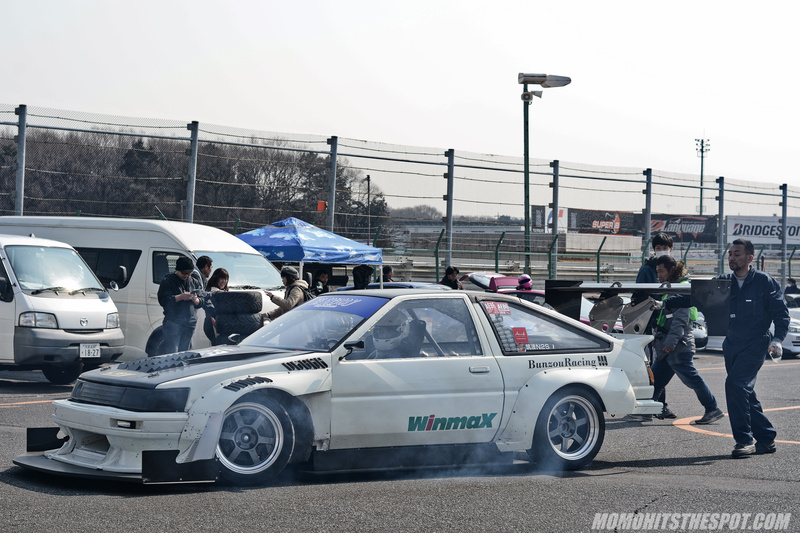 It was able to stop the timer at 1’02.944 in the woman’s class… not too shabby. 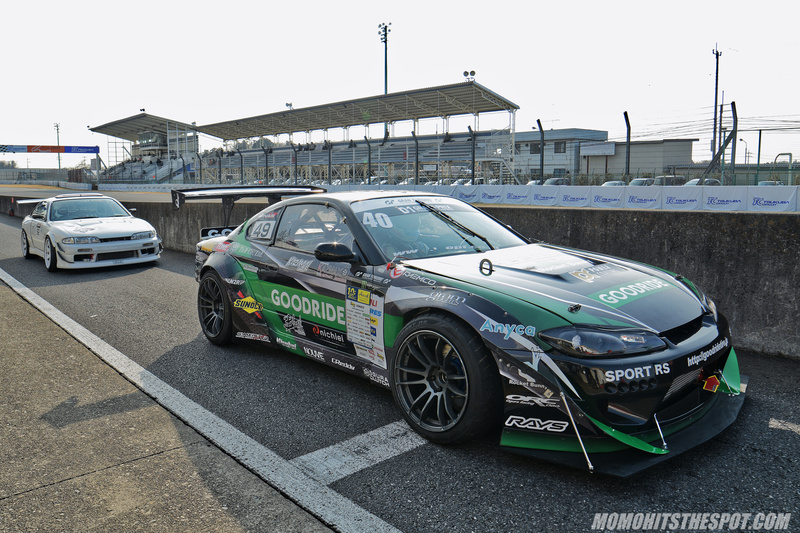 Another S15 present was the 800HP Goodride car that’s essentially a cross-breed track/drift car. 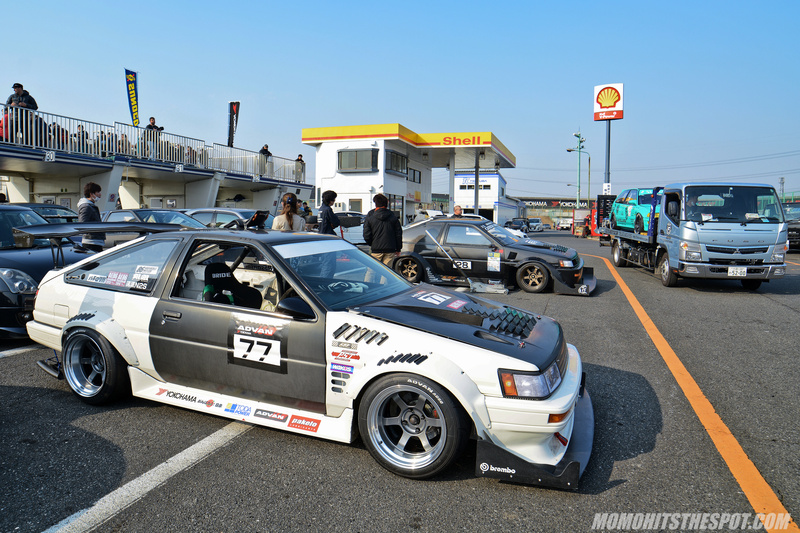 1’02.101 was its best time on street radials. 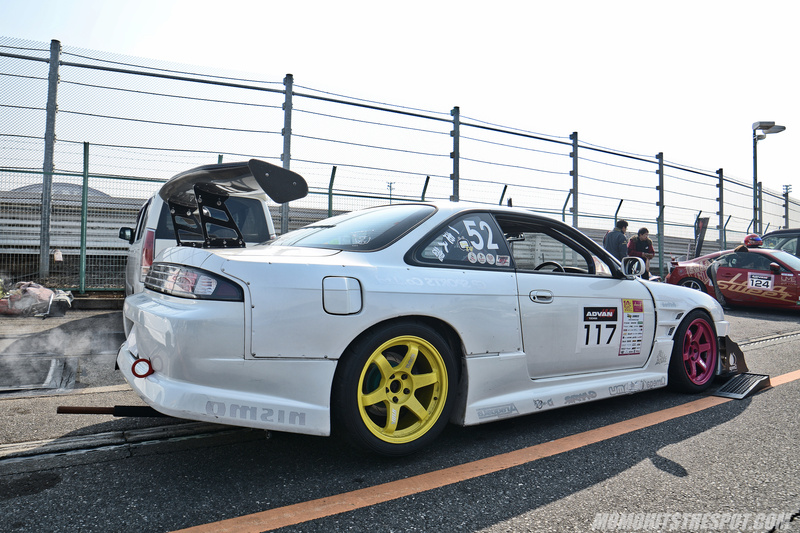 The fastest Silvia, of course, was the Friends Racing car… although if Under Suzuki was around, this car would be considered “slow”. 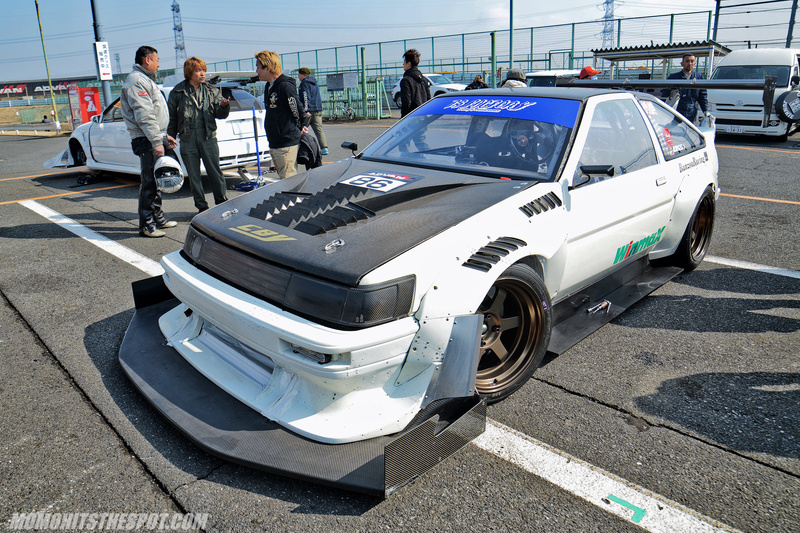 Just kidding, this beast can keep up with the best. 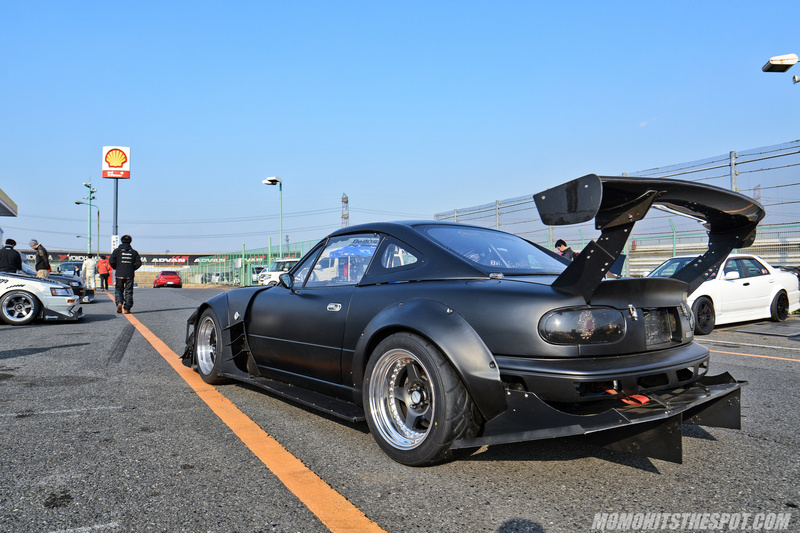 The BBQ Roadster is probably my favorite Miata… ever. 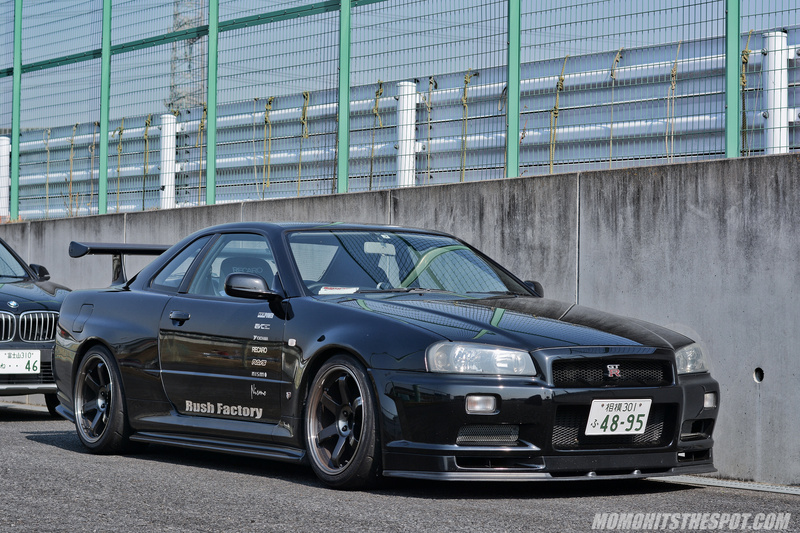 I don’t think there was a single R34 in competition but there were a couple on the side lines like this Rush Factory car. 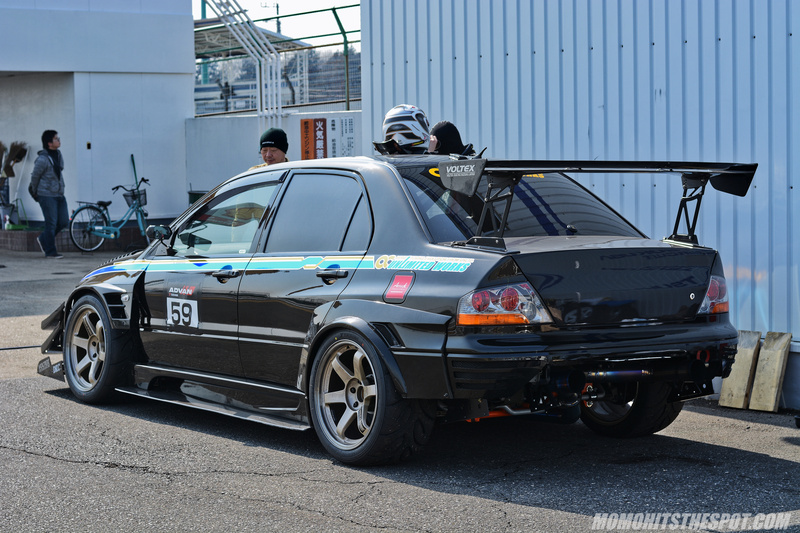 The Unlimited Works EVO IX is always a consistent car with lap times hovering around the 58 second range. 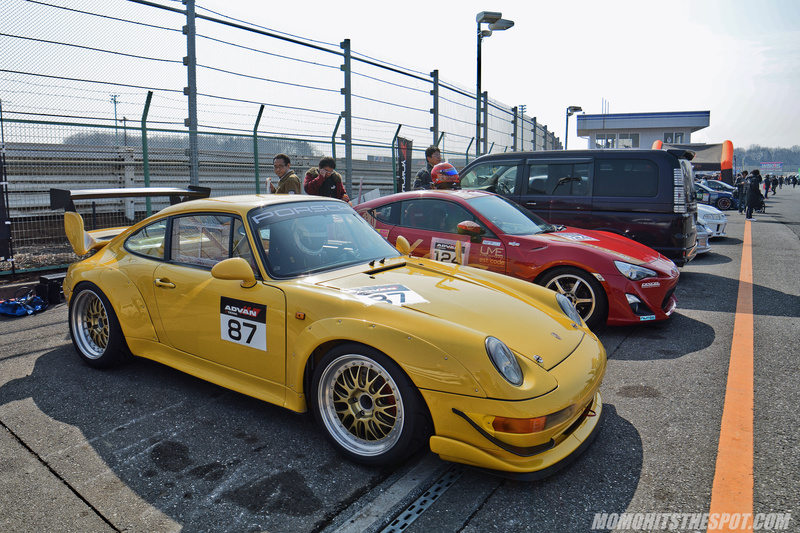 Porsches also had a fairly decent turnout with the cleanest one being this 993RS on BBS E88 wheels. 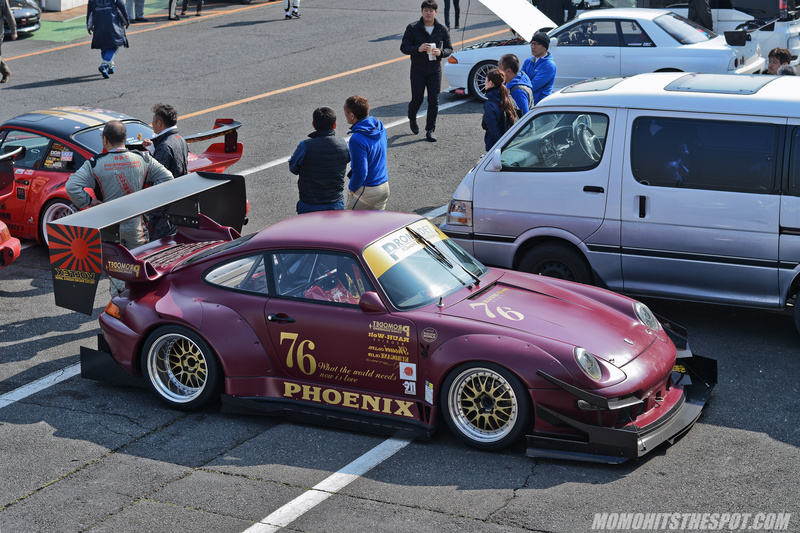 Who says RWBs are just for show… this Promodet car was decked out with splitters, canards, and Voltex spoiler for extra downforce. 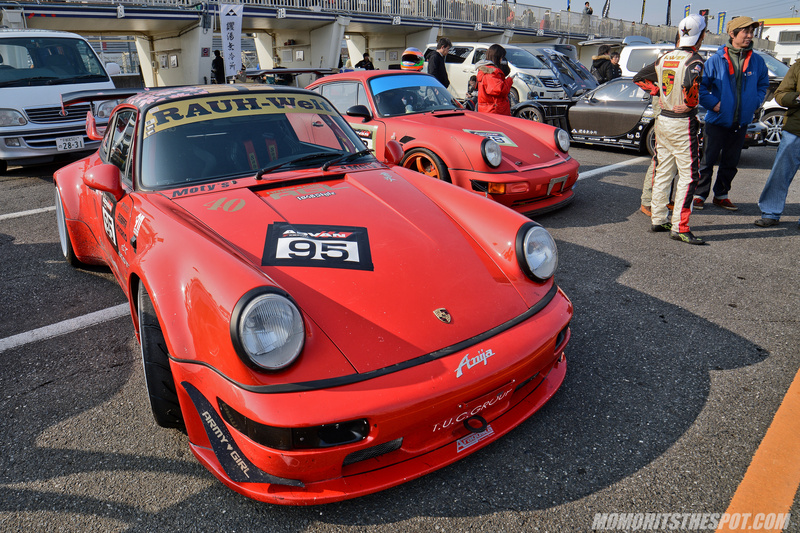 RWB 964 and 993RS ready for some hot laps. 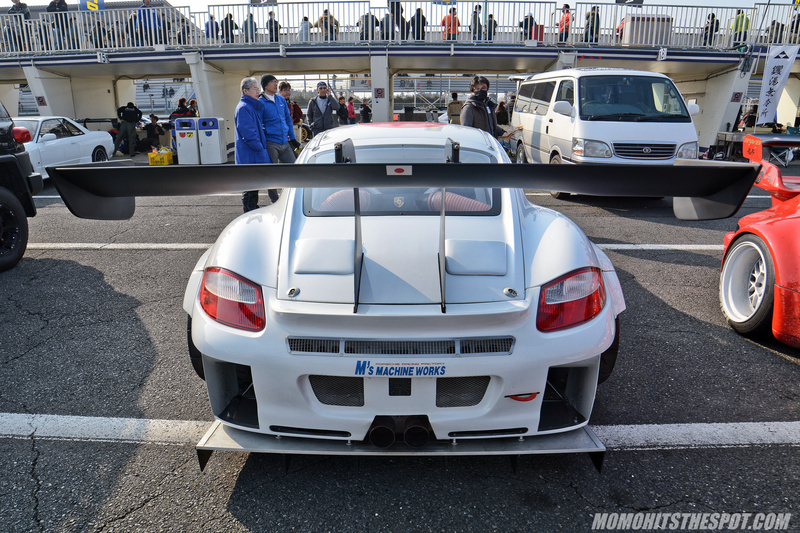 My favorite Porsche of the day belonged to the M’s Machine Works Cayman. 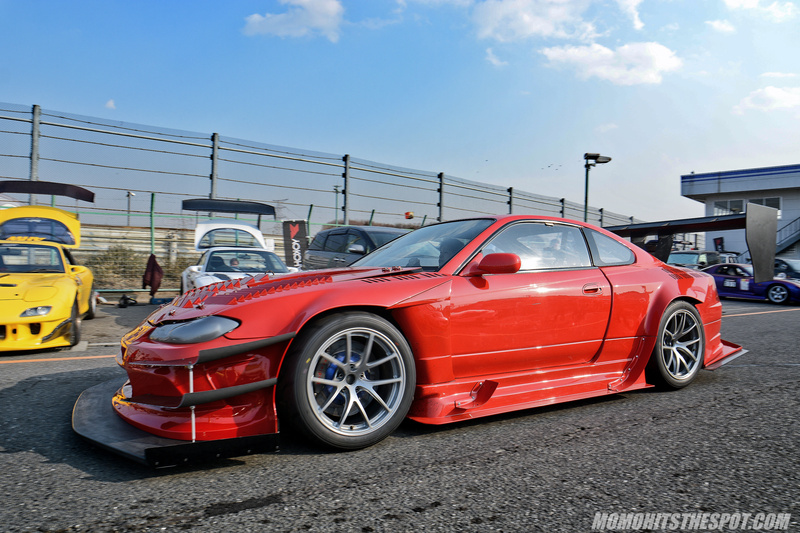 Finishing things off here with a preview of the next post… it’s gonna be the final segment of Attack Tsukuba, so be sure to check back for that!